We're still here 4 years later AND our clients are making money! Dear winners, let me ask you a question. How many forex operators do you know that have been around since 2012? Now, cut out the brokers and rebate providers who survive on trading volume instead of relying on client success. How many now? That's right! We're the only one that I'm aware of that's not only still in business, but thriving. Why is that? It's because we focus on a single goal - make money for our community from the forex market. The reason you see so many forex operators making their living from "clipping the ticket" instead of doing the right thing by their clients and putting money in their pockets is because it's really freaking hard! As the saying goes - if it was easy everyone would do it. By profession I am a lawyer with my own law firm, I am neither a "techie" nor involved in the finance industry! Your site has helped me into a position where I have been able to scale back my "day job" and enjoy more quality time with my wife and family as well as being able to help my children with their plans for the future. None of this, others would consider "life changing" but for me, if I can continue to "wash & repeat" this model year in year out- and generate income from FX, it is life changing because the amount I need to save for the future reduces- I need to save less and can actively use some of the income to enjoy the present and help my children along the way. Ok, enough of the warm and fuzzies, how'd our team go this month? April was an important one for Smart2 after a particularly rocky March, and I'm pleased to report that that he did well by keeping the drawdown closer to his historic average. There were also a few near misses during the month which resulted in a subdued return (for him), but what is important for me is to see the consistency return. Which it did. 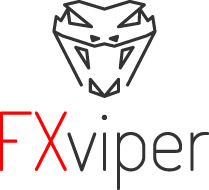 The Viper train continues to push through the mud that is the current situation between the Euro and USD. Very little has changed since March with Jeff (the trader) continuing to tread carefully by using much lower leverage than usual. I know the Viper fan base is being tested as the open drawdown drags on for yet another month, but it's times like this that a trader's mettle is tested. Nothing in Jeff's behavior indicates he's worried about his ability to work his way out of the current drawdown and I remain 100% behind him. April was a bit of a non event for Kilimanjaro as he took advantage of the freedom that being a trader affords. He took his entire family of five on a three week, overseas holiday! He's back at the trading desk next Sunday night and I personally can't wait for him to get to it. April wasn't kind to SteadyCapture. He was struck down with a bug during the month and accepted an uncharacteristic loss on AUDUSD because he didn't want to trade while his head as unclear. He then took a week to get back in the game. Like a highly trained athlete, he's doesn't jump in the ring unless he knows he's got an edge on his opponent, and in order to do that he needs to be in peak physical and mental condition. I like that! Please also check out my video update where I reflect on how this website has changed my life and why I love getting up in the morning. Finally, thank you for being a part of it and I look forward to continuing the journey with all of you for many years to come! Well done. This is just the beginning! Thanks for the videos they are inspiring. 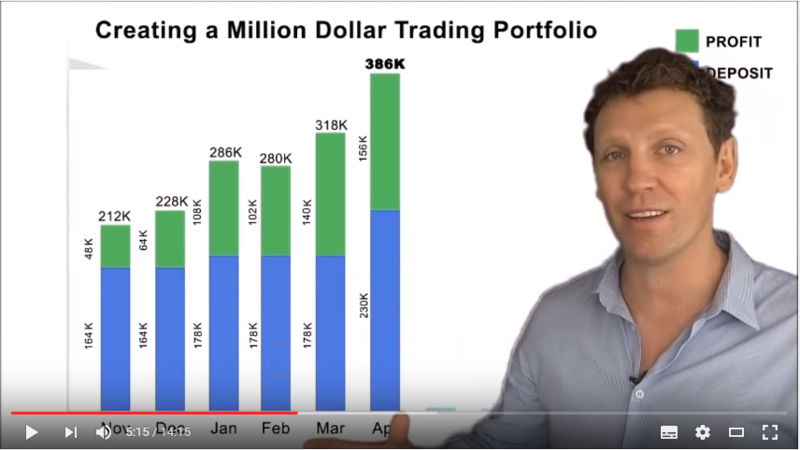 One thing I'm confused about is are you creating a 1 million portfolio by adding/depositing funds as you go along, as this is what it seems like. I presumed this goal is to trade your way with the traders to 1million rather than just depositing until you reach 1 million. The goal is to get the portfolio up to $1mil and then start withdrawing the profits, the portfolio will be a mix of profits and extra deposits. This isn't just a marketing project about turning x amount into $1mil, I'm using this as an actual investment vehicle for myself, so if there is an opportunity to put more money in and generate returns on that cash, I'll do it every time.